Grill eggplants on all sides with skin on until charred and soft inside (about 10-15 minutes). Let cool. Arrange eggs, tomatoes and green mangoes on the serving platter. 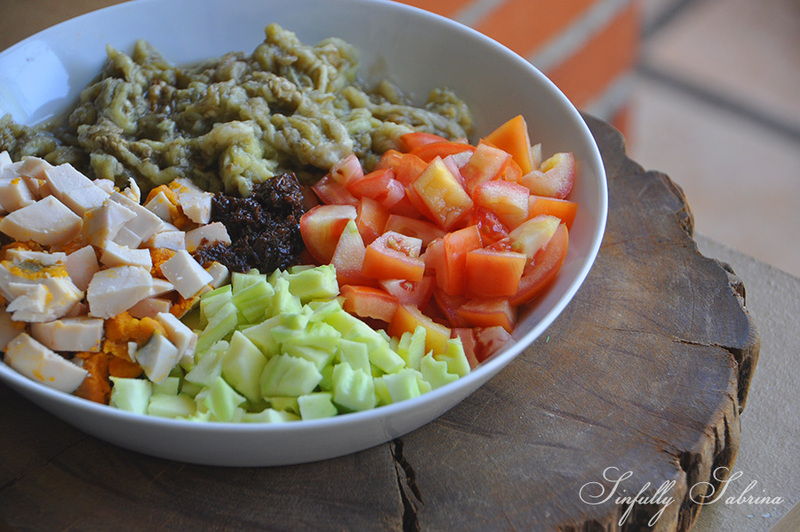 Top with bagoong (shrimp paste). I didn't specify the measurements, you can add and omit as you please. You may also add diced onions (I'm not a fan of raw onions so I took it out of the equation). If you're not from the Philippines, you may find the bagoong (shrimp paste) and salted duck eggs in your local Filipino or Asian grocery store.